David Wright surprised himself and the world by making it all the way to the finale of Survivor: Millennials vs. Gen X.
David will be competing for the $1 million grand prize in Wednesday night's two-hour finale against two other Gen Xers -- Bret LaBelle and Ken McNickle -- and millennials Justin "Jay" Starrett, Hannah Shapiro and Adam Klein. David confesses he's a skittish guy who's been avoiding fun for years, but he seemed to have a great time playing Season 33 of Survivor. The 42-year-old television writer from Sherman Oaks, CA, appeared to gain confidence on the show. Want to learn more about him? - David grew up a timid, bullied introvert in a small, suburban neighborhood in Philadelphia. - David admits to shying away from large social gatherings, outdoor activities and even the sun! Because of those things, the elements of Survivor were difficult for him to tackle. 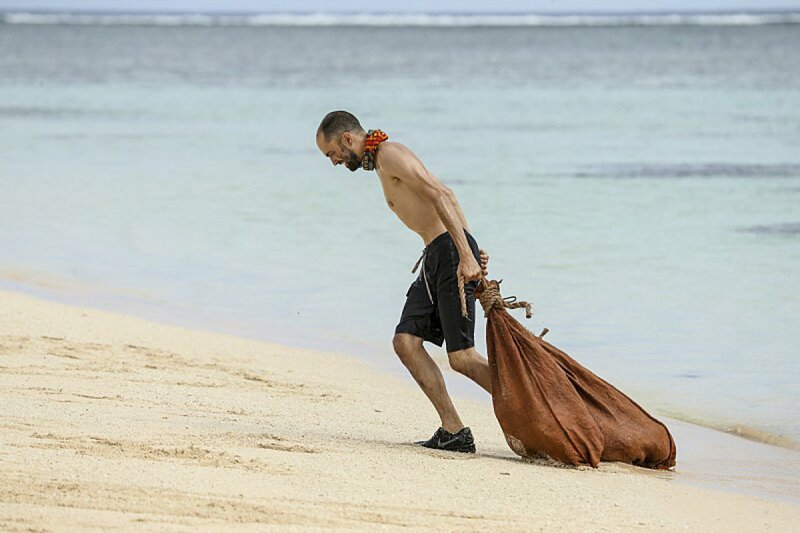 - The castaway initially wanted to compete on Survivor as a tool to battle his insecurities and overcome his fears and anxiety. David would describe himself as "OCD and nervous" as well as "neurotic and paranoid." - The castaway loves 3D printing puzzles and actually practiced specific Survivor puzzles before going on the show in order to master them. - David told Parade that he has a man crush on Jeff Probst although the host's dimples tend to disappear during Tribal Council sessions.